Acknowledge your fear but don’t make it rule over you. After months of not climbing together as a group, my friends and I decided to travel again and climb Mt. Pico de Loro. During the week of the planned hike, the weather was not very favorable for a trek, especially a threat of storm was present. We then decided that if the the entire day before the actual hike, we will continue, otherwise, we will not. Fortunately, our prayers were answered and we were able to proceed with our hike in Pico de Loro. Mt. Palay-palay or Pico de Loro is accessible through the jump-off points located in Ternate, Cavite and Nasugbu, Batangas. Since most of the blogs we checked started their trek through Ternate jump-off, we also did the same and just decided to traverse to the Nasugbu jump-off area. The name “Pico de Loro” is a Spanish phrase which when translated to English means parrot’s beak. The mountain, as Pinoymountaineer says, was called as such because during the Spanish colonization in the Philippines, Spaniards noticed that the mountain’s summit resembled like a parrot’s beak. The name was then used ever since. 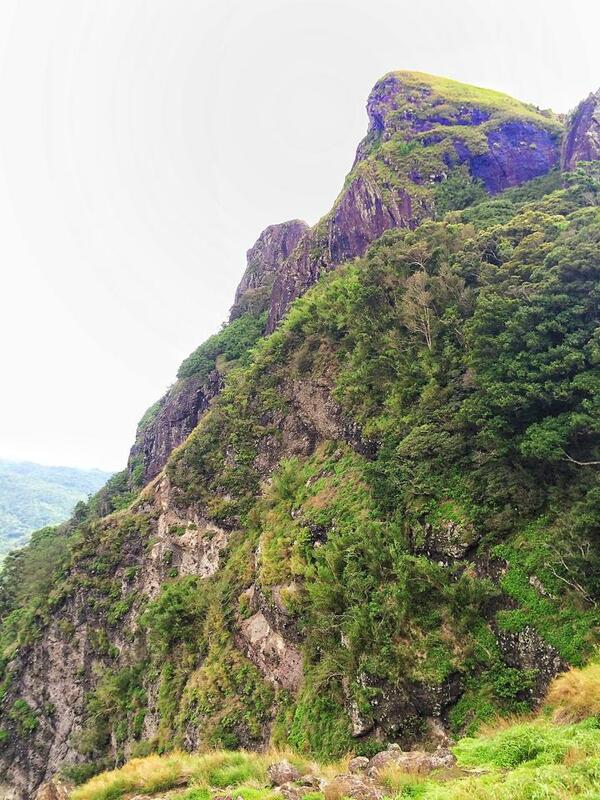 Presently, Pico de Loro was considered as one of the best tourist attractions in the province of Cavite, as well as in the province of Batangas. 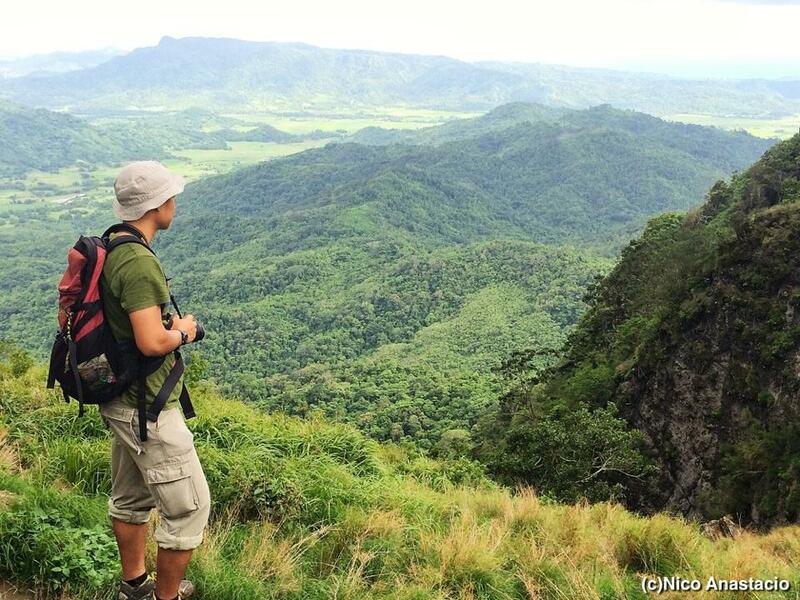 There are two waterfalls that you can visit when trekking Pico de LOro, one is located around 30 minutes walk from the basecamp, and the other is located along the Marogondon trail. We opted to visit just the waterfalls past the basecamp since we were not sure where exactly the location of the other waterfalls was. Since it rained during the past few days, we were able to enjoy the sight of the waterfalls since during dry season, the waterfalls has low volume of water, and sometimes, none at all. 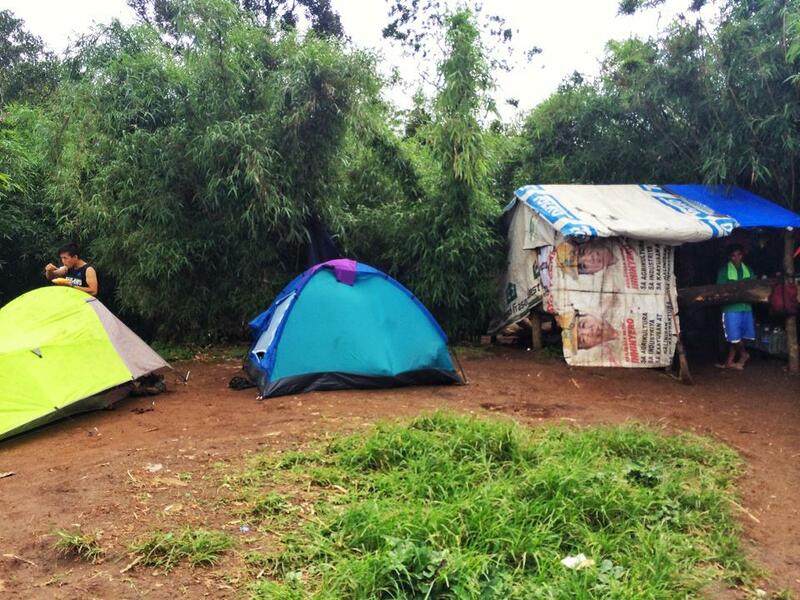 Mountaineering enthusiasts who wished to stay overnight can stay at the campsite near the summit. From the campsite, the parrot’s beak (the summit) can already be seen. It was very comfortable in the area and in the event that you emptied all your drinking bottles prior to your arrival at the campsite, you should not worry since there was a store in the area, although their merchandises were quite pricey. It was just understandable since it was so difficult to bring them all the way to the summit campsite area. Also, the campsite was surrounded with bamboos, almost evenly spaced just like in the bamboo forest scenes of a samurai movie. Once you reached the campsite, you may opt not to go to the summit and just rest. 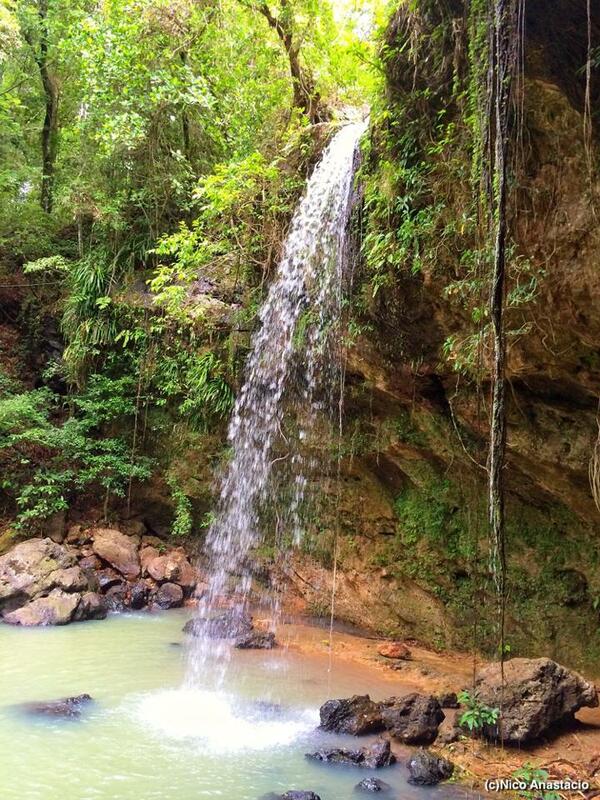 For hiking enthusiasts, however, it is definitely not an option. To be able to proudly say that you trekked a mountain, the very least you should do is to reach its summit. To reach the summit, you have to pass through a steep assault. The view in the summit was really breathtaking, 360 degrees. Sea, forest areas, agricultural areas, and road networks were just overlooking from the summit. 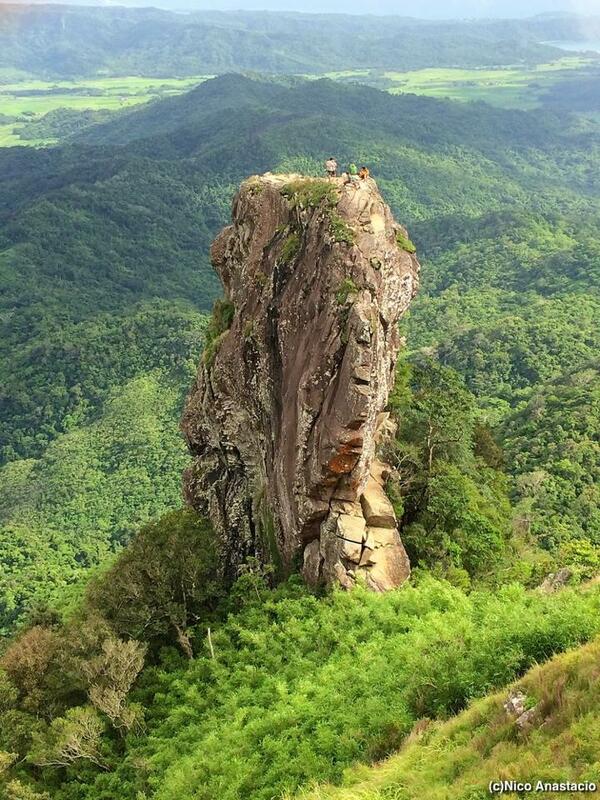 From the summit, another famous attraction of Pico de Loro, the monolith, could be viewed clearly. Monolith is a very large rock formation which was almost as high as the summit itself. Viewing the monolith from the summit would definitely trigger a person’s fear of height. I did not want to climb the monolith because I really was afraid of height, but I thought that I did not want to miss the opportunity to experience it, so I did. The only way to reach the monolith was to climb (and crawl!) on its narrow edges. One trick I used was not to look down since you would really feel dizzy because it was really high. But once you are already on it, you can say that it is really worth it. There was enough space for around 20 persons (I guess) and the view from here was very spectacular. The best part was the satisfaction of doing something amidst your fear. We arrived around 4pm on the summit since we were not able to start our trek before lunchtime. Therefore, we stayed in all the trekking destinations including the summit, for a very short time. We wanted to descend and reach the exit point in Nasugbu, Batangas before sunset because it will be very difficult for us to trek during the night, especially it was our first time hiking the area. After we were done with our dinner, we went straight home. Take note of the last schedule of buses (and other means of transportation) in Nasugbu, Batangas. As of June 2014, the last trip schedule of almost all means of transportation in the area was until 8pm only. Upon entering the Marogondon portion of the trail, there was another registration area. Tricycle fare going to the jump-off area in Ternate, Cavite and from the jump-off point (exit point) in Nasugbu, Batangas were both pricey. As of June 2014, going to the jump-off point in Ternate costed Php 100 per person, while it costed us Php 150 per person when we exited from the Nasugbu point.